The stubborn nature of inflation stops the Bank of England from acting, pushes living costs further up and is seemingly ignored by the government. Today’s consumer price index (CPI) figures (pdf) for November stayed at the 2.7% it had been at in October. The CPI remained steady last month only as the result of a balancing act, comprising of a fall in petrol prices, against the rises in food prices and energy bills. 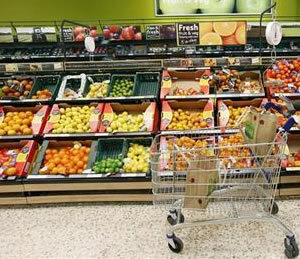 Analysts had expected inflation to fall from 2.7% but were surprised by today’s figures. The retail price index (RPI) however, saw a fall from the 3.2% in October to 3% in November. “This out of touch government has got its priorities all wrong. The ONS has specifically identified bread, cereals and vegetables as contributing to the overall rise in food prices that happened throughout November, with the Bank of England’s target of 2% in the next few months looking in jeopardy due to rising energy bills and projections of further rises. According to Reuters, the central bank last month predicted the Bank of England’s target rate will not be reached until the third quarter of 2014. In terms of the impact of today’s news, with an ailing economy, rising living costs and austerity, the picture is bleak for vast swaths of the country; specifically, however, the Telegraph reports the stubborn rate of inflation is having an adverse effect upon saving and savers in the upper echelons of tax system, as well as investors. The BBC reports that the future BoE Governor, Mark Carney, has made noises indicating a possibility of ditching inflation targets, instead using nominal gross national product, a combination of GDP and inflation. The rate of inflation at the moment is restricting the moves that can be made by the Bank of England, quashing the use of, for example, quantitative easing. With such difficult times looking to extend into the foreseeable future, the impotence of the Bank of England and the government’s focus not on the impact of living costs, but on their deficit obsession, makes for extremely grim reading. What high inflation? Denis Healey would have given anything for 2-3% inflation in the 1970s. robertcp. So would the Tories when because of their policies, inflation went up to 22% or more. What about “BLACK WEDNESDAY”. Remember the Tories left the country with a massive debt that Labour reduced. Tories managing the countries finances, please pull the other one. The only thing the Tories look after are their mates and funders in the banking world. At a time when incomes are falling in purchasing power, and are set to do so for an indefinite period, that’s a nasty statement. As it happens, I think that Denis Healey was a very good Chancellor and I am not a Tory. Sorry if you thought that I was being nasty. Low inflation is one of the reasons that the government could safely stimulate the economy at the moment.